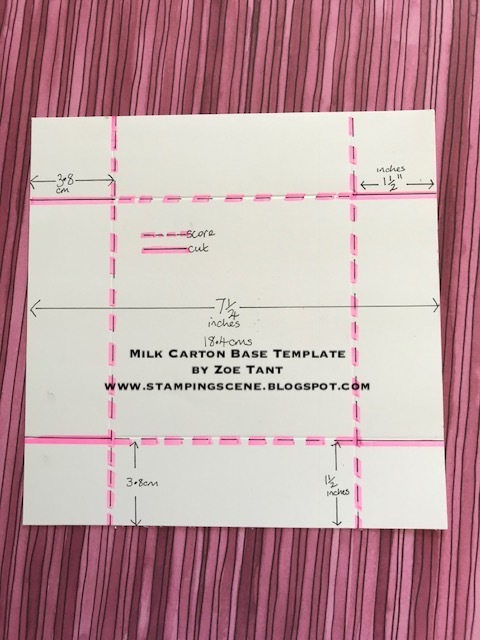 It is time for the Thinking Outside of the Box blog hop team to share another tutorial with you. If you've not come across us before we are a group of global Stampin' Up! 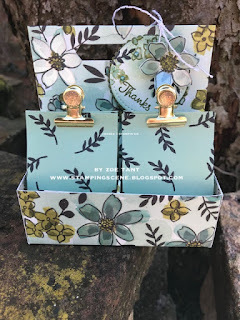 demonstrators who organise a monthly blog hop to share a personal version of a gift box or bag tutorial with you to give you lots of ideas and also in various languages so hopefully you'll find one that is good for you. If you're already on the hop you will have arrived from Yoshiko's fabulous example. Hasn't she done a great project. If you've landed here first you'll be able to click through the next and previous buttons to continue with the hop. Thanks for joining us we hope our hop inspires you to create. 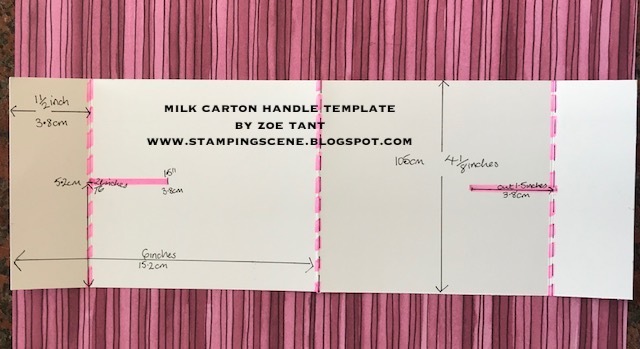 Our theme this month is to share how to make our version of a milk carton holder including the cartons inside. I've made my really simply by adding 2, 4, 6, 8 boxes. 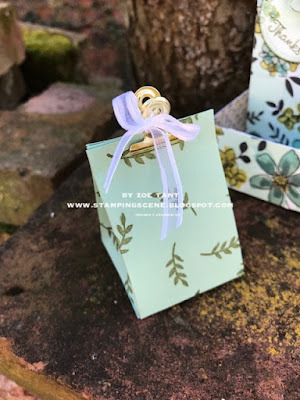 When I started crafting everyone talked about these boxes and I didn't understand what they meant and thought they must be something amazing and eventually i discovered that it's just a set of measurements for a very very simple box, so I hope you'll like this tutorial as one thing it is, is simple. 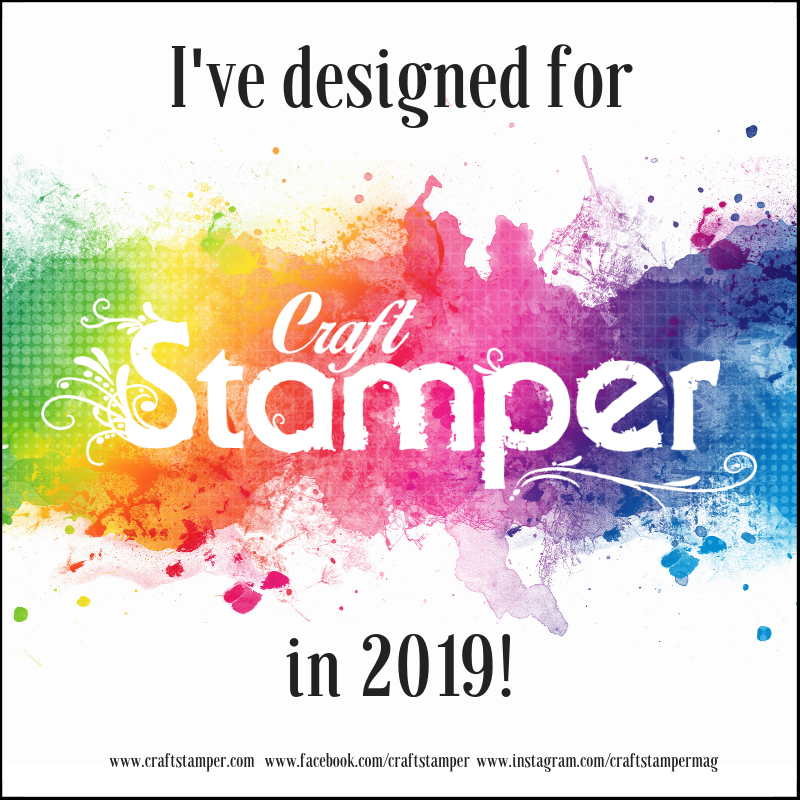 I've used some new sneak peek Stampin Up papers from the new Share What You Love Suite that will be released early next month to customers. They are stunning with a shimmer that subtly catches the light on many designs in the pack. They are in the new annual catalogue, but the suite is being released early next month as a treat for us all. 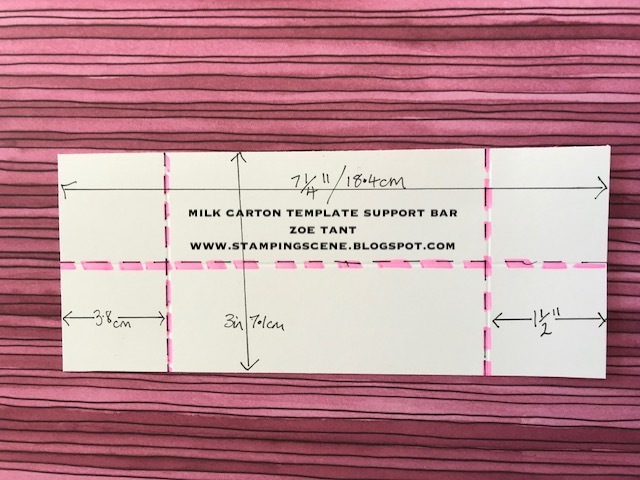 The eagle eyed will also see the returning Stampin Up in colour Mint Macaron which was a favourite for lots of us and also Mossy Meadow another returner to the new Stampin Up colour offering out in June. 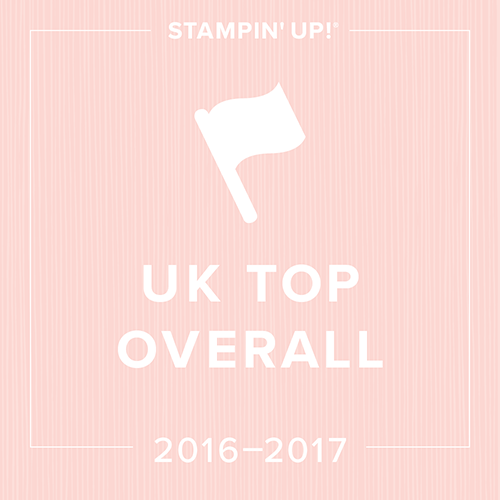 I'm putting a list together of all my customers who have shopped with me in the last 6 months ready to send out a copy of the new catalogue. Please contact me if you'd like one too. I've made a tag using the Stitched Shape framelits and also the Layered Circle framelits. I gently added Mint Macaron to a white stitched circle and then stamped images from the Love What You Do Stampin Up stamp set. 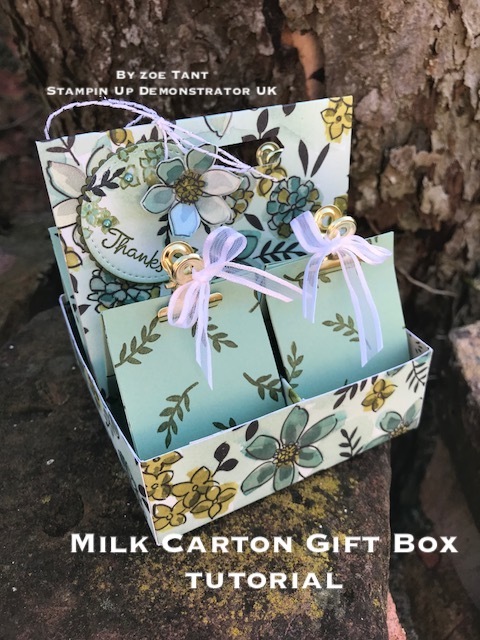 You'll see in the video and my pictures that I did the mini cartons in two colour ways and I'd love to know which you think suits the project best ie Mossy Meadow ink or Black ink with either white ribbon on the library clips or faceted gems (jelly tots as I call them). Here's a closer look at the cartons. They are very simple and of course you can change the size for other projects and decorate in different ways. Here are the templates I created to link with the video. Now you're off to see Annette's tutorial and she is a whizz with colour and mixed media. The hop list is also below to make it easy to follow. Thanks for visiting me today. Let me know how you get on with the tutorial and share any extra tips you have for it for other crafters. This tiny goodies inclusive the display is a dream: So beautiful. Thank´s for bein part of our amazing group. I love this, so pretty! Great minds must think alike! Oh another gorgeous use of this new DSP - your carrier and boxes are so pretty Zoe! They certainly do Barb and thank you.